With Valentines fast approaching, as in one day away, I thought it would be fun to share my favorite date ideas in Durango. For those of you last minute planners or maybe those who want to avoid the crowds and find some time for yourself I have put together a little list. Yoga Love? The Sweaty Buddha is offering a half price single drop in class for singles on Valentines Day! Pack up the boards and head to Haviland or the Animas River for a perfect adventure date once the weather warms up. This one is great for the whole family and even pet friendly. Maybe a cozy night with a great cocktail is more up your ally. Here are a few of my favorites. Sitting in the hot springs while it snows outside is one of the best winter activities found north of Durango. Either make it a spa day or stop at the hot springs after a day of skiing. It doesn't get much better when the drive to go skiing is less than 5 minutes from your front door. Chapman Hill is a local favorite, although a small ski hill it offers a variety of skill levels a great day or evening of skiing. My favorite part of taking the kids to Chapman is being able to see them at any point on the hill all while sipping hot cocoa or coffee at the bottom. Recently acquired by the same company that owns Purgatory Resort this Durango classic is a must visit. Only 11 miles West of Durango on Highway 160 we like to think of this as the perfect after work ski destination. They are best known for there night skiing and "old school" ski area feel. New to skiing? We just learned they offer free lessons to first-timers! If you haven't had the chance to make it to this event yet it is time to put it on your radar for next holiday season. 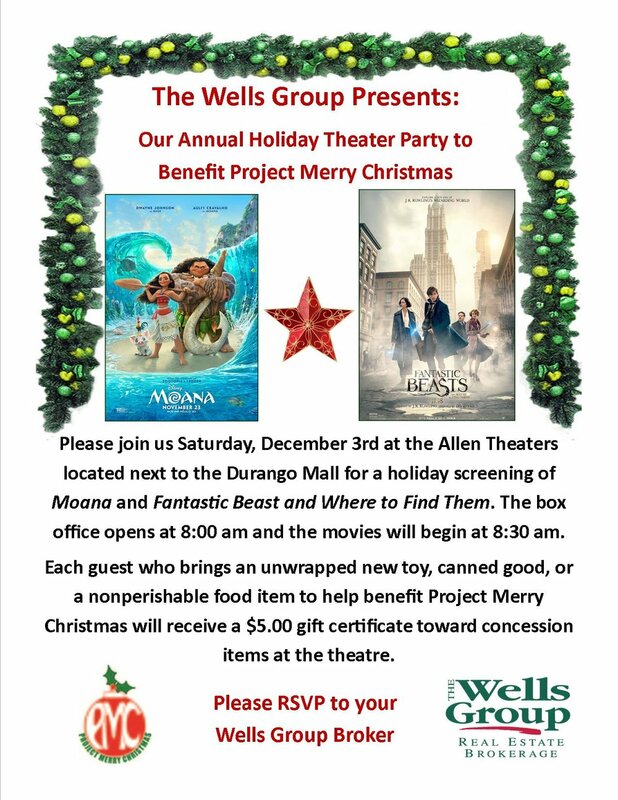 This year we had around 400 attendants come watch the movies and donate items to Project Merry Christmas. Project Merry Christmas is one of my favorite non-profits to help out, you are able to "adopt" families during the holidays in order to give back to those in need and help our community become even more outstanding. If you click on the "Learn More" button it will take you directly to their website and you can learn even more about Project Merry Christmas! Does It Make Sense to Move Up? A vast majority of real estate articles are focused on first-time buyers. There is actually a segment of the real estate market called the “move-up market,” which, as its name implies, fits buyers who want to move into a larger home. This market describes homeowners who need a larger home or would like more land and property. For several reasons, the local La Plata County market is currently ripe for move-up buyers. There is a real opportunity for homeowners to sell their homes in the more median price ranges of the market and “move up” to a home of their dreams. The values have increased for the low and mid-priced homes, yet the higher priced homes are still lagging. This makes it the perfect time to capitalize on the advantages of the impacted median-range home prices, and buy in the softer market of the higher-priced homes. At this time, buyers may get more home for smaller differences in payment. In the past, the leap to move up would have been larger; now, buyers will have a smaller difference in house payment. This is a huge factor—why pay more in the future when the best value may be now? Additionally, low interest rates make it easy now, but that may change in the future. As we have noted in the past, we are still sitting at historically low interest rates. Last week, we saw mortgage rates at a 4 month high, and a recent Wall Street Journal article states that it is likely the Federal Reserve will initiate an interest rate increase in December (http://www.wsj.com/articles/feds-task-next-week-signal-december-rate-rise-1477351253). In La Plata County, there is an excellent selection of homes for buyers in the higher-priced range. If you are considering a move-up scenario, the inventory is strong now in this market segment, allowing choices and variety in home selection. Finally, the property taxes are still low in La Plata County. Take advantage of lower taxes, lower interest rates, and a variety of home options available. For a strong visual, take a look at the median price change in the last two years in each market price range (below). As you can see, in all homes over $500,000, values have decreased in the last two years. In the under-$500,000 range, values have increased. If you would like to move to a larger home, now is a prime time. As always, please let us know if you have any questions, or would like to discuss the market further. We love getting to bring all of our favorite people together in the fall and what's even better is when the kids get to have their own fun as well! 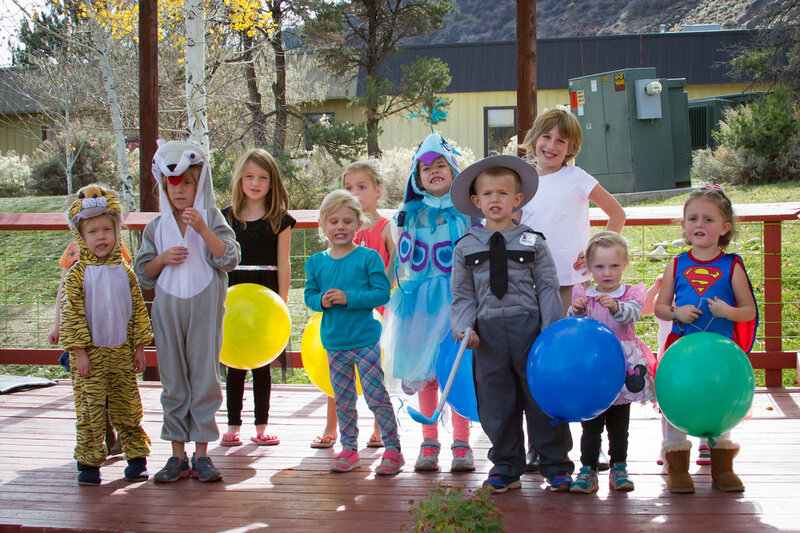 This year the Harvest Party fell on Halloween weekend, which means costumes were in full swing for the little ones. It turned out to be a perfect fall day and everyone was able to enjoy the last bit of warmth. Huge thanks to SKA and The Container for the perfect venue, pizza, and beer (can you really ever go wrong with that combo??). Durango provides us with the perfect backdrop for a wonderful community, clients, and friends. So thankful for all of you! One of the greatest things about Durango is that you can ride your bike everywhere you need to go in town. Durango is not only bike friendly, but the city is continuously making improvements to our roads by add more bike lanes, and making it increasingly safer for bikers/cyclists. If riding on the main roads sounds a bit scary, Durango has an amazing river trail system just for that. Not only is the river trail great for taking an afternoon stroll, exercising and accessing the river...but it also has some great restaurants along the way. 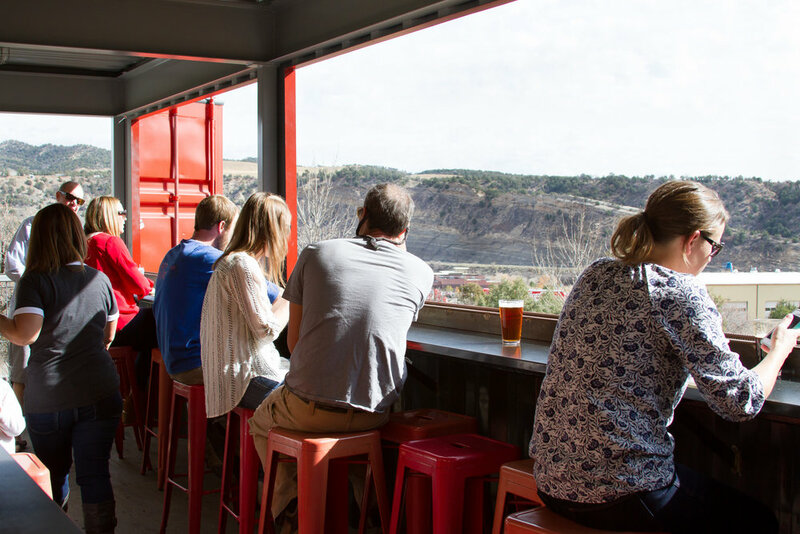 Animas Brewing Company (ABC) is located right off the river trail at Rotary Park. They have great in-house brews and a delicious food menu. A great place for impromptu dinners since they don't catch the rush of people from downtown. They have great burgers and pasties (meat pies), check out their full menu on their website. The Powerhouse Science Center is located right on the river trail where Camino Del Rio meets Main Avenue. The Powerhouse is a great place to take your kids, and it is not just a museum! In the summer season, they open their tent outside and sell beer and hot dogs! Great Saturday activity for the fam! For adults, make sure to check out their Trivia night on Thursdays at 6:30 PM. Bring four of your friends to make a team of 5, and enjoy local brews while playing 5 rounds of 10 questions! Check out their website for more details. Serious Texas Barbecue is located off the river trail and up Camino Del Rio by the Durango Mall. A little farther along the river trail, you will get a little exercise in before a yummy lunch or dinner! This Serious Texas location is great because it overlooks the river and they have a great outdoor seating. When the weather is nice, after eating you can enjoy a round of mini-golf with the kids! Perfect activity after eating a huge Texas Taco (local favorite, beef brisket with cheesy potatoes, onion and jalepeno on a flour tortilla). Check out their website for their entire menu. Ska Brewing Co is a little farther than the previous three. You will have to bike across Camino Del Rio and up the sloped Girard Street. Here you can drink local, award-winning beer at the Ska World Headquarters. Don't forget to try the local seasonal favorite, Mexican Logger. 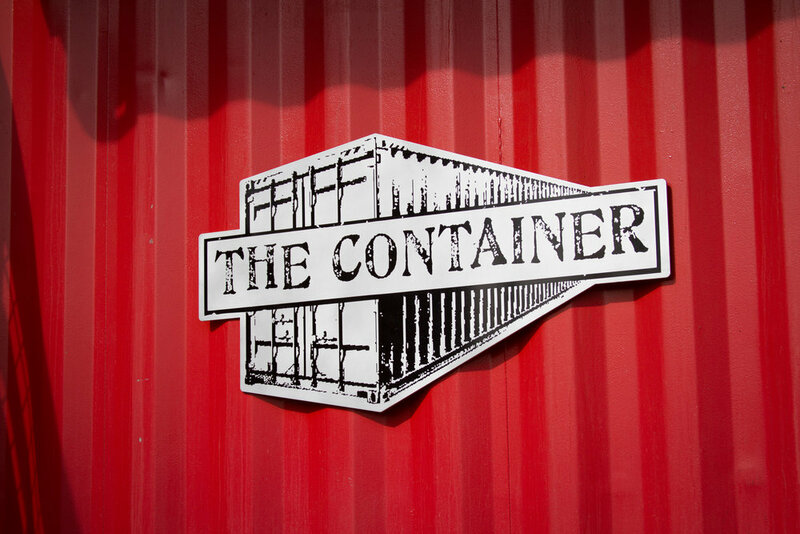 To soak up some of those suds, you can grab some grub at their restaurant, The Container. 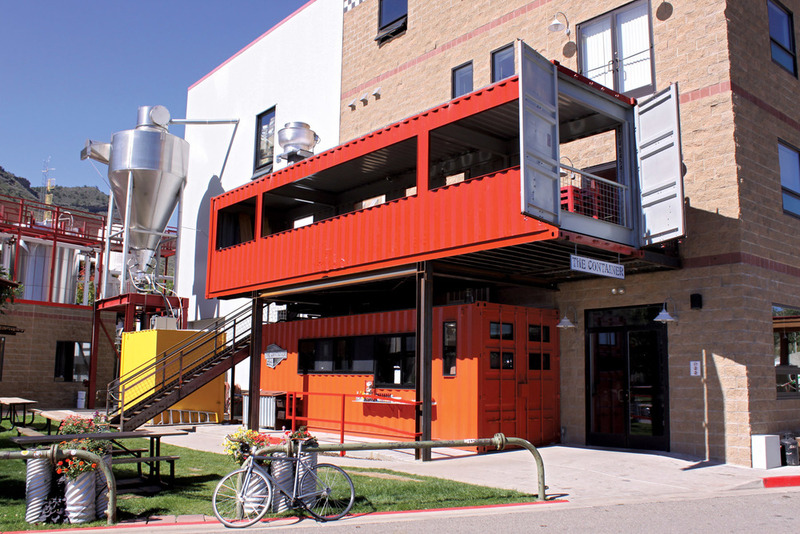 The kitchen and pizza oven are located inside a shipping container attached to the main building. Find great fresh salads, sandwiches, and brick oven pizza served from 11 AM to 8 PM. Check out their website for more info and events. Stay tuned, and keep a look out on my blog! There is a new restaurant coming soon to Durango and it will be located on the river! Another great place to bike to and enjoy a beautiful summer day. I will release more details as soon as this transaction closes! You've probably heard the recent news of the contamination of the Animas River. The EPA was reportedly doing some clean up work and caused a spill of over 3 million gallons of toxic mine waste water into our river. A huge orange plume of contaminated water made its way down through Durango, leaving sediment and solids behind. The content is believed to be mostly metals such as iron, manganese, lead and other scary stuff like mercury and arsenic. This is of course devastating to the community on so many levels. I'd say everyone who lives in Durango appreciates our natural beauty and environment. There are over 1,000 water wells that are affected, numerous irrigation ditches that serve our farms and livestock, and of course City of Durango pulls water from the Animas daily- an estimated 5+ million gallons. Currently they've taken measures to close off the ditches and City water system and pull water from other sources but that means strict conservation for in-town residents. Who will be accountable to the farmers and ranchers, raft companies, fly fishermen who have hundreds of employees and currently zero income? Who will be accountable to the residents of Durango who rely heavily on this life blood for recreation, tourism, and drinking water? What about the communities downstream, like the Navajo Nation and Lake Powell and the Colorado River? 1. An amazing amount of people in our community are concerned and making their voices heard. 2. This sheds some light on an issue that has been ongoing for years. There are hundreds of mines north of Durango that need to be cleaned up. Our river has been polluted before. Hopefully this event will bring some awareness to getting things cleaned up. 3. This is a good reminder how precious our Earth is and how much we need to appreciate it and not take it for granted. We choose to live in a beautiful community and it's important we take care of it. While there are many unknowns at this point, and we have very little information from the EPA regarding how bad this really is and how this will all be cleaned up, here are some resources for more information. Background story- Very informative! This is not a new issue. Sign a Petition to hold the EPA responsible for their actions. Not sure how valuable this is, they did admit fault, but as a government agency how are they going to hold themselves accountable? I'm keeping hope that things are not as bad as they could be and we find a way to resolve things soon. Durango's Multi-Modal and Parks and Recreation Advisory boards met in early July to discuss the different possible options of extending the Animas River Trail. Currently the river trail starts on 32nd street and extends all the way to river road by Home Depot and Grease Monkey. The expansion talk is focusing on connecting the south end of the trail at River Road to Three Springs. This will benefit the community in multiple ways. Residents of Three Springs will be able to connect to the rest of the community, as well as kids could ride their bikes to Escalante Middle School via the river trail. This brings up the question of how. One option would be having the river trail cross over Highway 550. The other options in discussion would be adding a bridge. This would add at least $2 million extra to the expansion project. Bridge benefits would include safely crossing a busy highway, which is important to the parents of our community. Cons of building a bridge, besides price, would include a disruption of flow for river trail goers. There would be steep areas and tight turns for bikers and runners. Comments are open for review by the boards until July 31. The boards have not yet made a decision of how they will expand, and have not expressed a timeline for the construction plan. You can read more about the Animas River Trail Expansion in the Durango Herald here. Celebrating the 4th of July in Durango! We had a great 4th of July up at Vallecito. We camped at Graham Creek campground on the east side of the lake. It has good access to the beach right from our site. We paddle boarded and did a little fishing from a ducky. The water was a perfect temperature for swimming! Vallecito does have fireworks on the north end of the lake every 4th. Overall it's a great place to spend the holiday. Here is a link to more info on Vallecito Lake! Besides paddle boarding and fishing at Vallecito, they have some great trails! The Vallecito Creek Trail is ranked #6 out of 161 trails in the San Juan National Forest! Here is an link to more information! Another popular place for the 4th is Silverton, CO! It is rated one of the best and largest firework shows on the Western Slope! Before the firework show there is a parade, fireman water fight, live music, rhubarb festival, and more! Here is a website with more information. Downtown Durango also has some great 4th activities! It starts with a pancake breakfast, a 5K run at Rotary Park, and then onto the fun downtown on Main Ave. The rest of the day is filled with dancing, parades, and fireworks! Here is a link to more info on that. Above is an image of the back of one of my buyer's properties on Mushroom Lane. Mushroom lane is right on the river at Vallecito! What beautiful views! A great way to combat winter blues is to get out and be active in the snow. In fact, there are so many fun activities for all ages and skill levels in Durango, and with 300 days of sunshine a year, it’s hard to find an excuse not to get outside and enjoy a beautiful winter day. The possibilities are endless with easy access to Durango Mountain Resort for alpine skiing and snowboarding, cross country and snow shoe trails, ice skating and hockey the Chapman Hill Ice Rink, sledding, and so much more. Cross Country skiing around Vallecito Lake is free and full of spectacular views. The trails are maintained by a group volunteers who provide the community with a groomed trail system all around the lake. 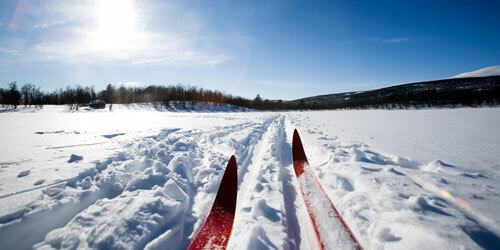 Another great place to cc ski is the Nordic Center a Durango Mountain resort. They offer ski and snow shoe rentals and lessons. A trail pass for an adult is only $15 a day. My family went sledding a Lime Creek on New Year’s Day. It was well worth the 30 minute drive up past Durango Mountain Resort. We had a blast with fantastic sledding and snow shoe options for the whole family. Dala Mountain Park is my favorite place in town to snowshoe and it’s dog friendly! There is a good loop that hooks up to the Sailing Hawks/Animas Mountain trail head. I hope you are enjoying the winter as much as I am. I would love for you to share your favorite winter activities with me. Also, if you are considering relocating to the Durango area, check out some of these links and see why Durango is the place to find your dream home in a place that matches your lifestyle. Introducing Josie - and Baby Reese! Hello, I’d like to introduce myself – I’m Josie Parden, Chelsea’s assistant. I thought it might be fun to add a blog from a different Durangoan perspective. Some of you may know that there is a new addition to the Krueger family. Baby Reese and mom are both healthy and happy, and taking a little time to get to know each other better. Meanwhile, I’m helping out with her business along with Stuart Way, a colleague of Chelsea’s and fellow real estate broker here at The Wells Group. Here is a little about myself. I’ve been working at the Wells Group for 2.5 years. I am a transplant from New Orleans, Louisiana. I have a passion for photography and the communication arts. If you list with Chelsea, we will make sure your home is photographed and marketed in a way that will gain it maximum exposure. Working with Chelsea has been such a pleasure because of her easy- going personality and knowledge in her field, but she also has an great eye for aesthetics which is something I really appreciate coming from an artistic background myself. When it comes to marketing, open houses, home staging, etc., she really has a great vision. While she is taking some time out of the office I’m glad to be assisting her to maintain that vision. Since I’ve been in Colorado, I’ve found Durango to be a very special place. It can give you that cozy small town feel with wide open spaces, and at the same time you can enjoy a vibrant evening downtown full of fantastic restaurants and bars. It seems like there are so many new places popping up. I’ve really enjoyed Grassburger, a new restaurant serving burgers made with local grass- fed beef. Check out their website. The summer is winding down, but the weather is still great here. Coming from New Orleans where the temperature is in the 90’s with 85% humidity, it really does seem like heaven here. This September the Rochester Hotel will continue to host their summer concert series on Wednesday evenings in the garden. Some more fun events are coming up as well. In preparation for Snowdown 2015, there will be a Steampunk Fashion Show Luncheon on September 19th to benefit Durango Friends of the Arts. You can email mharp4@bresnan.net for more information or to reserve a seat. For those of you who are unfamiliar with Snowdown, it’s an iconic festival here in Durango. You should check out this link. It will fill you in on the history of the festival and give you a few ideas for this year’s theme. 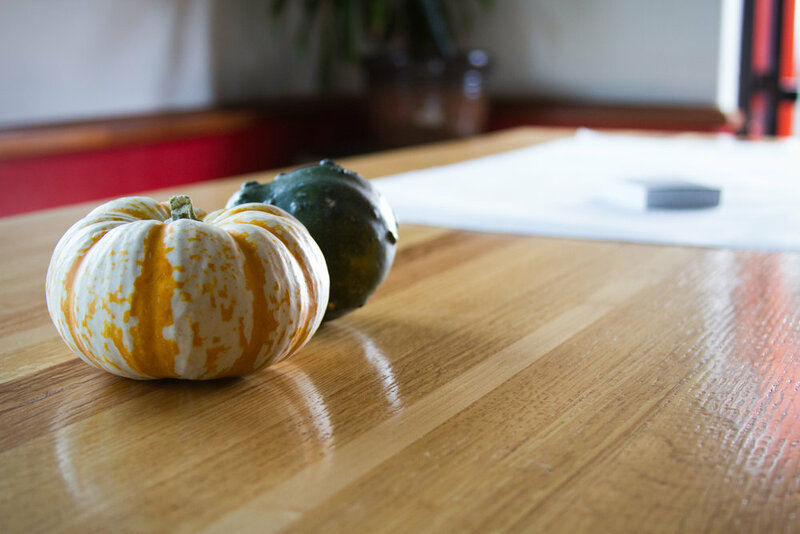 Sutcliffe Vineyards, a local southwest Colorado vineyard is having their annual Harvest Dinner on September 8th where Sutcliffe wines will be paired with 7 delectable courses prepared by the Ore House. Many Durangoans make the journey to McElmo Canyon for the event and this year they are even offering a shuttle service to discourage drinking and driving. Maybe I’ll see some of you there! I have enjoyed this summer so much, but I am looking forward to the crisp air and the changing colors from greens to yellows to burnt orange, and having a cup of spicy tea while listening to the crunch of the fallen leaves under my feet. But I won’t get ahead of myself – it’s still pretty warm out! Every season in Durango has something great to offer! Some of the natural beauty that Durango has to offer - the view from Chelsea's listing 506 Mountain Memories.